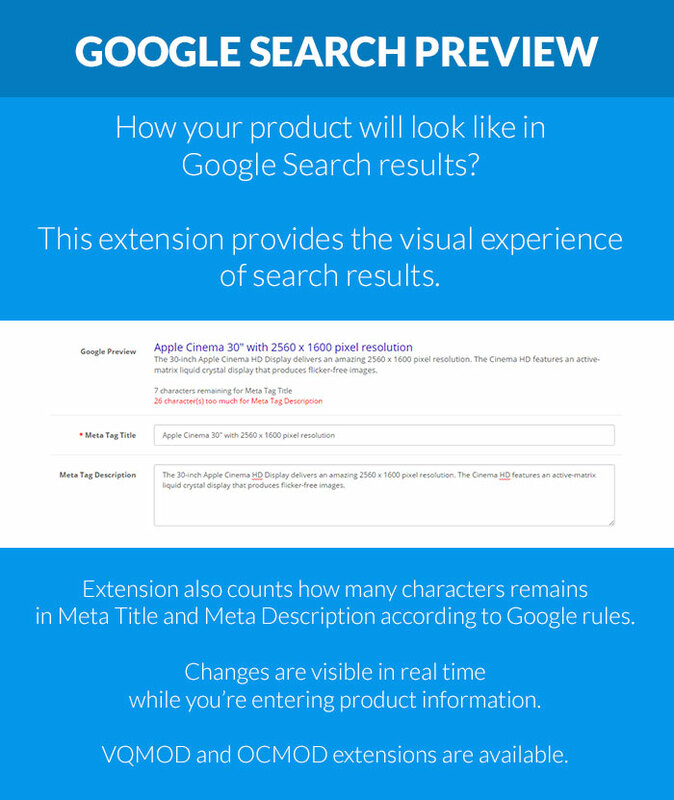 Extension also counts how many characters remain for Meta Tag Title and Meta Tag Description (depending on current Google recommendations). 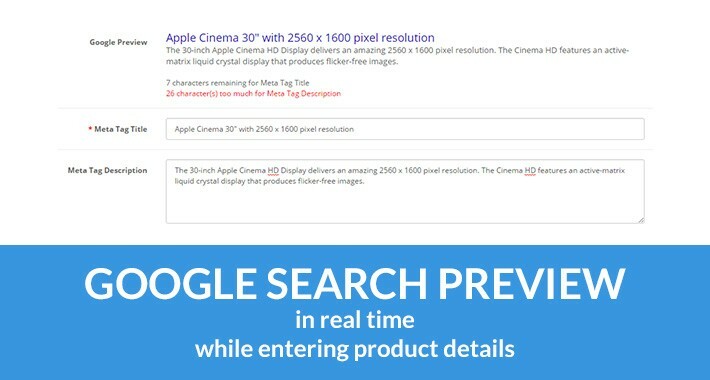 This extension is available in OCMOD and VQMOD formats. Note for OpenCart 1.5.*. 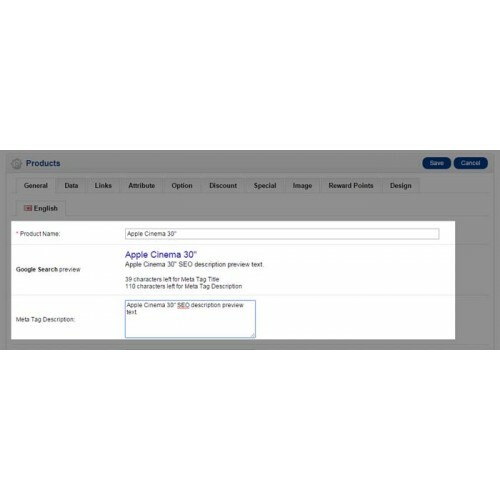 * users: since these OpenCart versions don't have Meta Tag Title in the administration section, extension uses Product / Category Title instead (it gives the same results anyway). 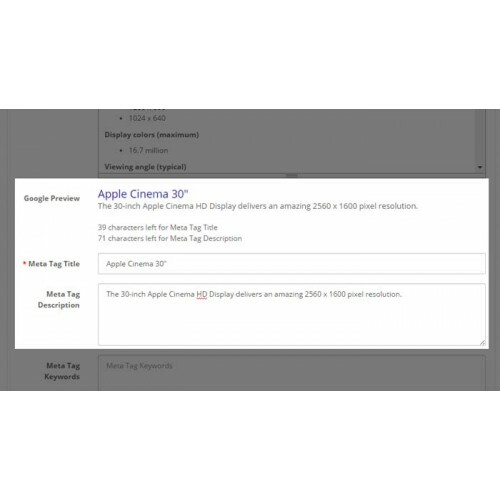 Increased Meta Tag Description max length to 280 characters (Google 2018 changes). Added support for OpenCart v3.0 versions.